Tasmanian writer and TWC mentor Terry Whitebeach recently attended the PEN AGM in Melbourne, and kindly agreed to write an account of the experience for the TWC Blog. On 29th November I flew to Melbourne to attend PEN’s AGM and participate in their annual writing of greeting cards to writers imprisoned for their writings and broadcasts. 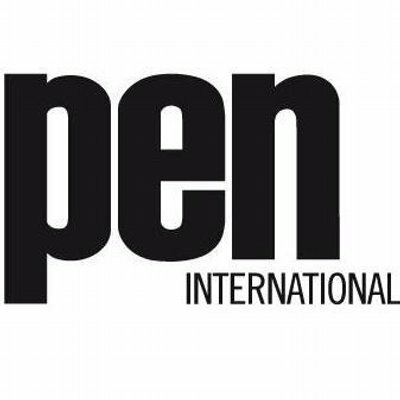 PEN is an almost century-old international association of writers, which promotes literature and defends freedom of expression around the world and promotes quality education at the national, regional and international level. PEN has been documenting and campaigning against human rights violations of writers since the 1960s. PEN Writers in Prison Committees support persecuted writers in their own countries and elsewhere in the world. It was the liveliest and most informative AGM I’d ever attended. We ate dinner together and shared information about our various human rights projects, received updates on cases PEN International is currently working on and reports of writers in detention on Nauru and in Papua that PEN members are assisting. Arnold Zable spoke of the brave and untiring work of Victorian poet, Janet Galbraith, founder and co-ordinator of “Writing Through Fences”, a writing group made up of people who are, or have been, detained in immigration detention. The question of forming a Tasmanian chapter of PEN came up once again, and I offered to coordinate an informal Tassie outpost, under the wing of Melbourne PEN – where we might join together at different times for specific purposes, such as writing greetings to imprisoned writers. I gathered a heap of cards and a list of writers in a number of countries, with the addresses of the prisons they were detained in, intending to rally the troops as soon as I stepped back onto home turf, but unfortunately I succumbed to the lurgy, so am intending instead to take up the cause in the New Year. If anyone is interested in joining me for a few hours, let me know. A greeting from a fellow writer may give imprisoned writers hope, and at the very least, it lets them know that they are not forgotten. and also alerts the authorities of that country to the fact that the international writing community is aware of the plight of its writers held in custody.